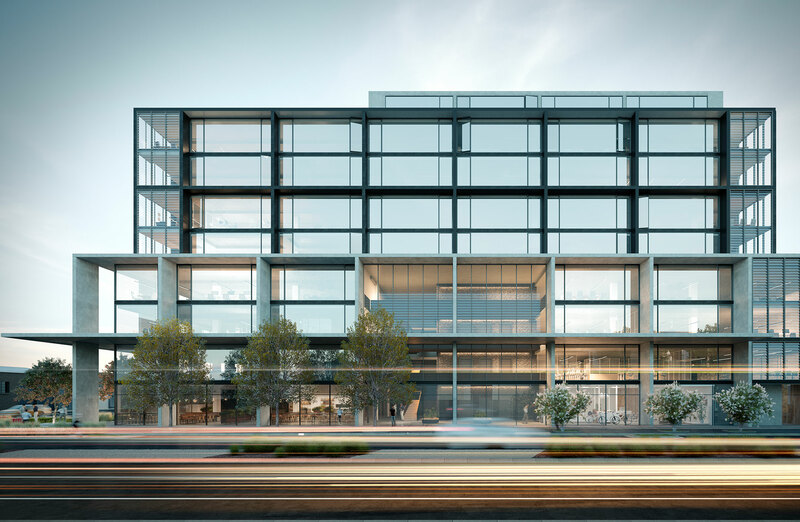 Melbourne developer Peregrine Projects has launched its first major commercial office development with a new project at 175 Burnley Street around the corner from Salta’s Victoria Gardens precinct in Richmond. Early concepts for the $100 million development, situated in Melbourne’s tightly held inner east office market, outline 9,340sq m of new, architecturally designed office space over eight levels. The Jackson Clements Burrows-designed commercial building will feature a rooftop garden with 360 degree views of the Dandenongs through to the CBD. Designers have allowed the project to be fully customisable giving future tenants the flexibility to subdivide, offering an opportunity to tailor layouts to meet business and cultural needs. The building will also incorporate a flagship ground floor hospitality space. Colliers International’s Matt Cosgrave and Rob Joyes, in conjunction with CBRE's Anthony Park and Joshua Jennings have been appointed to lease 9,340sqm of new office space over eight levels. “This stunning new building will incorporate flexible floor spaces with four sides of exceptional natural light and 122 secure basement car spaces,” Colliers International’s associate director Matt Cosgrave said. The Richmond development is set to commence construction in July 2019 and will be available to occupy from December 2020. Meanwhile, CostaFox, which acquired 1-11 Gordon Street in Cremorne in 2017, are planning to strata the 6,000sq m office it is proposing for the site. The original heritage building will be restored with an eight-storey glass curtain wall tower, designed by Fieldwork Architects, erected above. Peregrine also looks set to redevelop a 160-year old Victorian pub, The Sarah Sands Hotel in Brunswick, into a mixed-use precinct featuring a new apartment building. The developer, in collaboration with heritage consultants Lovell Chen and architects JCB, will restore the hotel's hidden facade to its original condition. The Sarah Sands redevelopment will offer 31 bespoke residences along with unique work spaces and dining destinations.